This isn't a Retro Rides meet, but could be of interest to a few. I'm the Essex area rep for ATUK (All Terrain UK), an organisation devoted to responsible and sustainable greenlaning. I know there are a few 4x4 and enduro owners on here, and nodoubt some greenlaners, you are all welcome to come to the meeting and socialise! 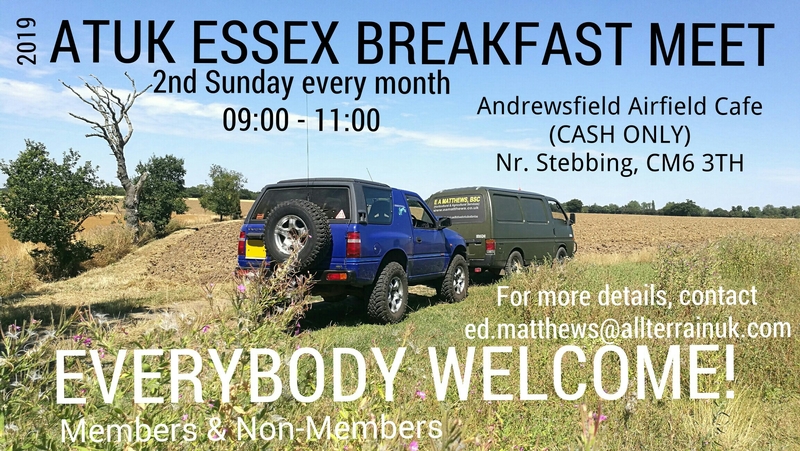 The meeting is on the second Sunday of the month throughout 2019, and is at Andrewsfield Airfield Cafe, between GREAT DUNMOW and BRAINTREE.